One of the toughest skills for young readers to learn is to infer what isn't stated by the author. 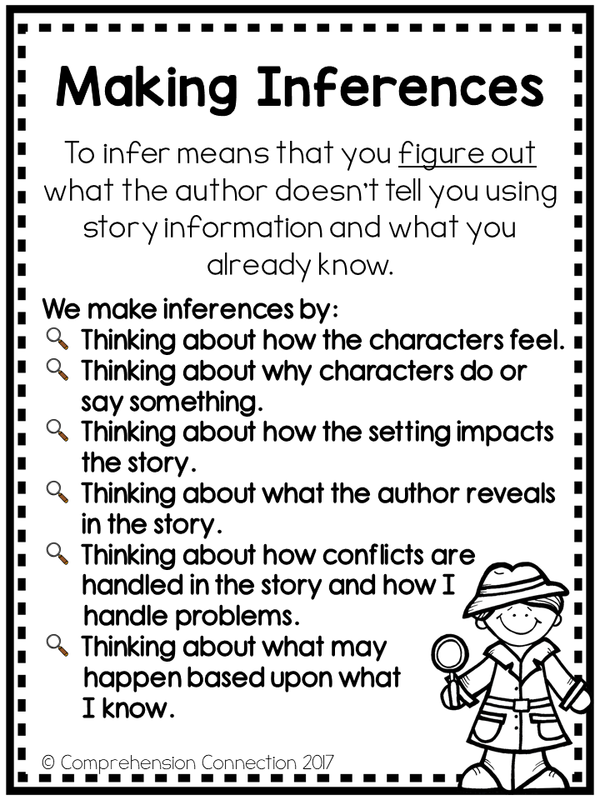 For students who lack experiences or who don't pick up on story clues authors share, explicit instruction is needed to help make sense of the unknown. Through think aloud and targetted instruction, we can help struggling readers improve. 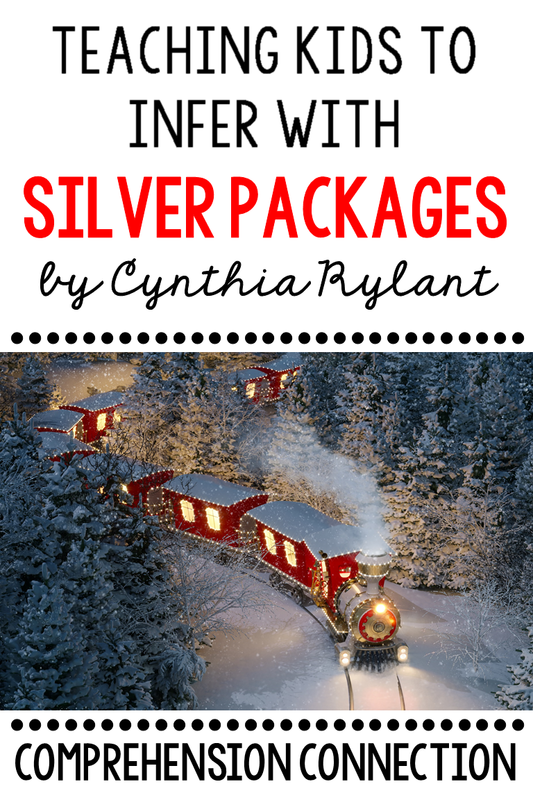 Today, I'm going to share how you can use a lovely Appalachian Christmas story to model making inferences. 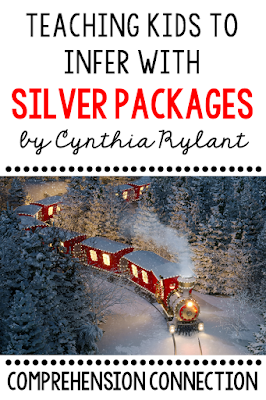 Cynthia Rylant's book, Silver Packages, shares the true story of the Christmas train which has run since 1943. 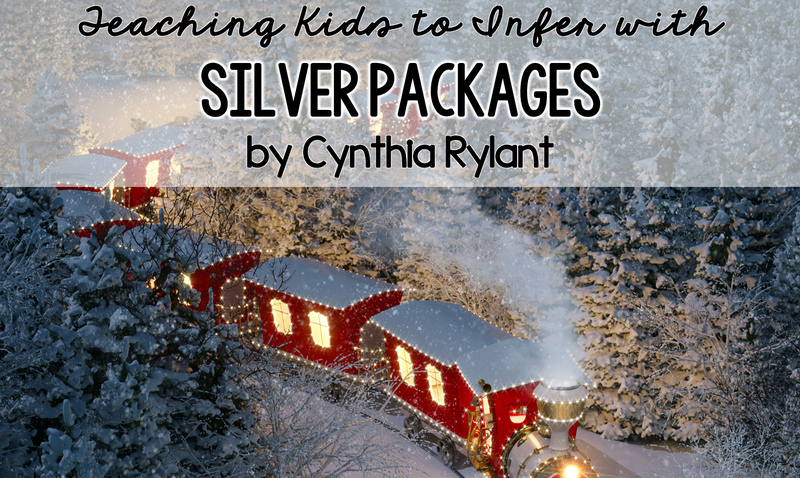 Each year, on December 23rd, it runs through the mountains and brings gifts for children awaiting its arrival. Frankie is a child who doesn't have much. His shoes are worn through, and he's without mittens. Nevertheless, like most children, he has one gift in mind that he REALLY wants, but rather than getting the exact thing he wants, he is given things he really needs. Needless to say, he learns that he really needed warm socks and mittens even though he really wanted the doctor's kit. Along with learning about needs and wants, we learn a lot about life in Appalachia. We learn about traditions, and we learn about Cynthia Rylant's life in the mountains she loved so much. We also learn from Cynthia's carefully selected writing vocabulary and word choice, expression, and craft. What Can We Teach and Learn from this Book? In addition to these skills, there is one or two more which I think work well, but the one I'm targetting for the remainder of my post is making inferences. Whenever I am teaching a skill, I love having an anchor chart or powerpoint to reference as I explain the skill process. The chart to the left is part of the download I'll share at the end of the post. As the chart is used, it's important to give real life examples first and then, as the story is shared, pausing and questioning about these points helps the reader see and hear how readers think about the text. Once students have a feel of how we infer, it's time to practice with a text. Now, when you do this, you want to be very familiar with the text and have specific examples in mind that you will use for discussion. I would suggest blowing up the T-chart to poster size and provide your students with sticky notes. 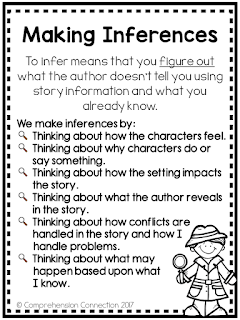 As the book is read, share the story examples and allow your students to turn and talk with their elbow partners to share what they infer, The sticky notes can be "pasted" to the poster. The page size version can be finished in pairs or individually to assess understanding. For a video model of the lesson, you can check out the Facebook Live post I did explaining it all. 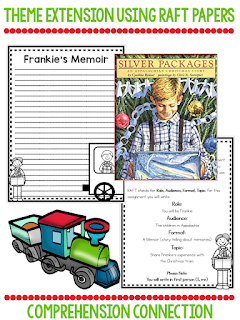 Since many of the inferences made will focus on Frankie, it makes sense to write a RAFT paper from Frankie's Point of View. A RAFT paper stands for Role Audience Format and Topic. RAFT papers are intended to be used as a way to deepen understanding, and if you've followed my blog long, you know the reading-writing connection is really important to me. I love teaching writing, and I personally feel the best way to improve as readers and writers is to practice. So, whenever we can work in writing, I do. 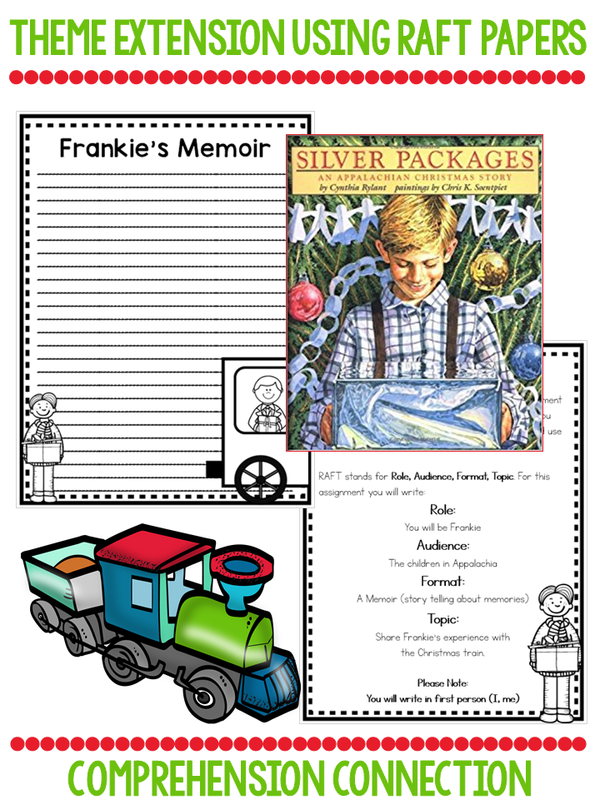 The writing assignment is for students to take the Role of Frankie and write a memoir (Format) for the Applachian children (Audience) about his memories of the Christmas Train and how he was inspired by it. Once completed, I think sharing them orally would be a great idea as it will allow you to work on the themes included in the text. If you are interested in the full unit, you can click [HERE]. To download the free resource I'm sharing, simply subscribe to my newsletter below. 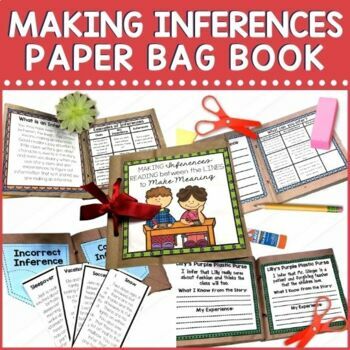 This Making Inferences Paperbag Mini Book is lots of fun for work stations or for small group. Students use three lunchbags folded in half to form the book. The pages are sized to fit and include modeling, guided practice and application with Lilly's Purple Plastic Purse and Two Bad Ants. It's $4.00 in my store. Click the image to the left to check it out. Interested in another freebie? 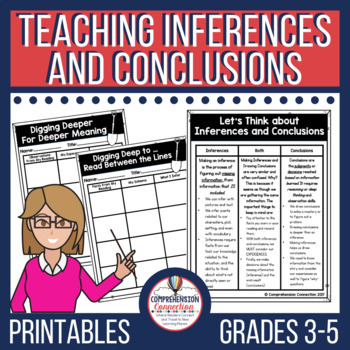 [THIS POST] explains the difference between making inferences and drawing conclusions. 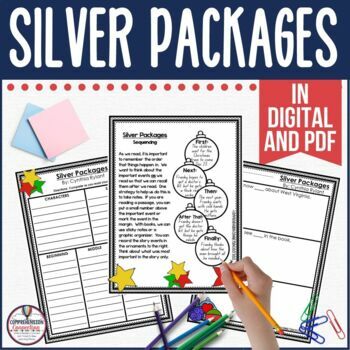 The freebie I included with that post has an anchor chart and two organizers that you can use with any book.